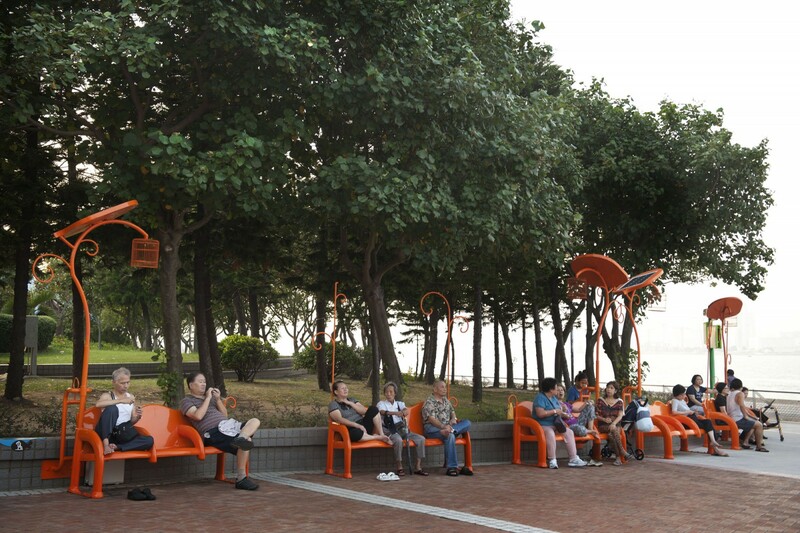 Titled Branches, the bench is designed like a spray of twigs, stretching out from the tree, demonstrating the vitality of the nature. Visitors are welcome to hang their belongings on the branch-like hooks while they rest. 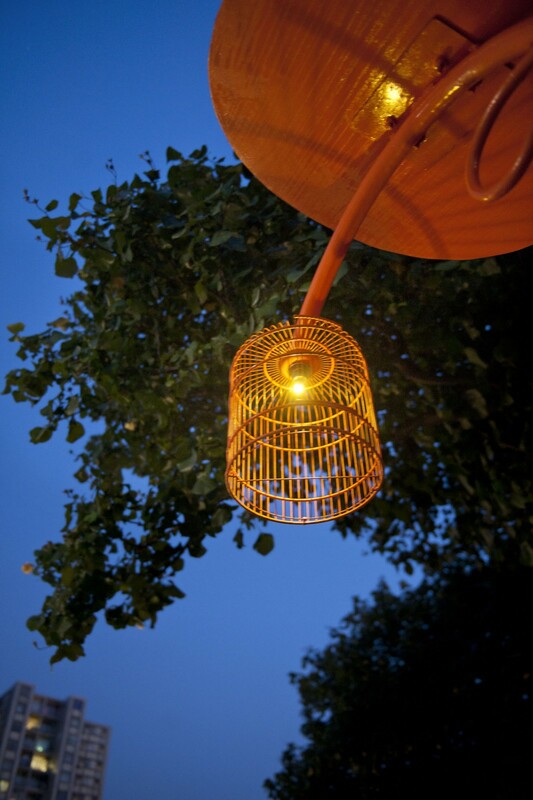 The LED light in the shape of a bird-cage represents nostalgia for local tradition, while also providing the Park with soft and delicate lighting.